Ah, the holy grail of tequila mixing: the fabled margarita! Decades of search for the perfect margarita recipe has made it a thing of legend, a sort of "holy grail" for tequila aficionados. Remember, tequila would still be unknown without margaritas. That would mean no Pee Wee Herman weird-dancing to The Champs’ “Tequila” and no Sammy Hagar jumping off-stage with his Cabo Wabo. No sir, none of that. But alas! Margaritas are one of the most sought-after cocktails in the world. And if you’re reading this, it means you too seek the perfect margarita recipe. - Balance: a perfect blend of liquors and fruits. Not too sweet, not too sour. Just right! - Budget-friendly: we all love top-shelf margaritas (I’m having one as I write), but they love to burn holes in your pockets. The perfect margarita should tolerate cheaper ingredients and still taste great. - Visually appealing: who wants to drink an ugly drink in an ugly glass? Pimp your drink! - Simple steps: some cocktails require a Masters in Alcoholic Beverages and a Ph.D. in Bartending. While many of you certainly deserve both honorary degrees (you know who you are), we´re looking for a straightforward, down-to-earth drink. A perfect margarita recipe will likely be be based on the original margarita: tequila, orange liqueur, lime juice, ice, and salt. All margarita variations, regardless of taste or looks, began with this basic recipe. - A quality mixto or 100% agave tequila. 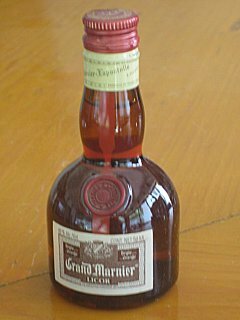 - Orange liqueur: Cointreau (my favorite) and Grand Marnier are standard. Gran Gala is a cheaper alternative. - Fresh fruit juices: the fresher the better. Always. - Agave sweetener: it’s healthier than and just as sweet as refined sugar. It’ll also give the drink a stronger agave flavor. - Cumin or cayenne salt: optional. Use if you like it, ignore if you don't. - Ice: society “demands” men drink margaritas on the rocks, while women can go for crushed, frozen, or on the rocks. Do with this “rule” as you please. - A quality blender/margarita maker: Ok, not exactly an ingredient, but still needed for that perfect margarita. With these ingredients, you'll always be off to a good start when making your dream margarita. You now know what to look for and what to make it with. Now go off and explore the world of margaritas! Be adventurous, but then be very selective. Try all types of margaritas, but stick to the ones that make your mouth water. You'll recognize a perfect margarita when you find it. Even though perfection is an ideal and not a goal, bartenders and tequila aficionados will always be looking for the "next best thing". That can only mean new and better margaritas for us all. And don’t forget margaritas taste best when shared. Always add friends and family to the mix! I'm pretty sure there's a margarita recipe I've overlooked. Know of any such recipe? I'd be an honor for me and all future visitors to have your recipe on this site. It's as simple as writing, uploading, and then bragging about it with your friends. Entering your favorite margarita is easy to do. Just type! Do you have some pictures or graphics to add? Fantastic! Click the button and find the first one on your computer. Select it and click on the button to choose it.